On January 12, 2016 the University of Seville, Spain, on behalf of the coordinator of the project “Development of approaches to harmonization of a comprehensive internationalization strategies in higher education, research and innovation at EU and Partner Countries HARMONY” held the Kick-off meeting of the project. The opening session started from the welcome speech of the Rector of the University of Seville Mr. Miguel Angel Castro Arroyo and was attended by about 30 representatives among them senior officials of the Ministries of the Partner countries, Rectors of the High Education Institutions (HEI) involved in the projects realization, directors of international centers of the HEI and experts in the field. Overall objective of the project is to increase the attractiveness of higher education systems, to establish a HEI as a centre of excellence in all the activities related to higher education, research and innovation within the global scene but in accordance with national development strategies by strengthening the integration of education, research and innovation and strengthening of internationalisation of higher education systems within the framework of Higher Education Area in accordance with the main provisions of the Bologna Process. 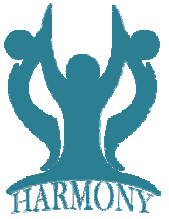 The HARMONY consortium consists of 17 institutions: 6 from the European Union, 4 from Armenia and Belarussia, and 4 organizations from Russian Federation, including the Ministries of Educations and Science of Partner Countries participating in the Project. The project duration is till October 2018. In the framework of the Kick-off meeting the project partners delivered the presentations on the activities proposed within HARMONY and participated in the Workshop on Methodology development.